The Metal debut for the world of tennis, 2016 Leaf Metal Tennis sticks to an all-autograph format with a Chrome-like look. Collectors can find five autographs in every hobby box. Given the focus on signatures, 2016 Leaf Metal Tennis is relatively simple. Base Autographs feature a vertical image and thick borders. 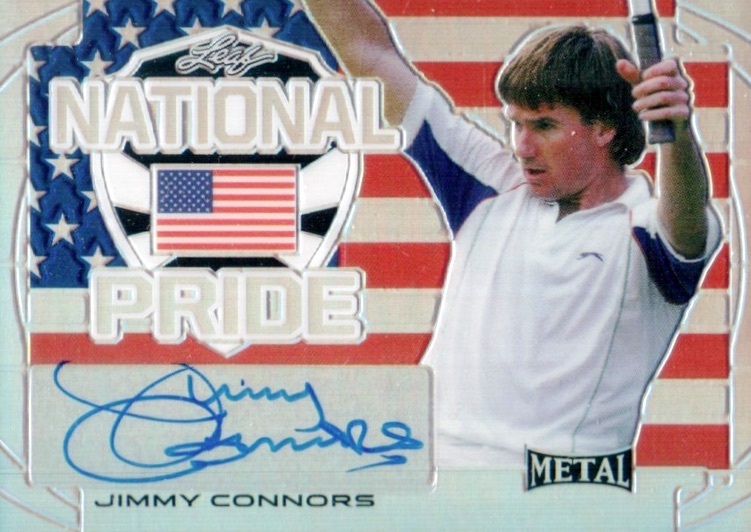 National Pride Autographs look to the origin country for top current and former names while Fastest Serve Autographs concentrate on the big hitters in modern tennis. These two horizontal inserts add a large graphic to the design. Offering a chase aspect for collectors, the Leaf Metal Tennis rainbow features eight different foil parallels that are each serial numbered. This includes Red, Blue, Green, Black and Superfractors. Every autograph also has a base version. 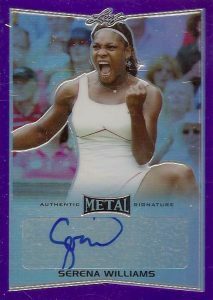 Billed as featuring "the first ever certified autographs of Serena Williams by a major trading card company," 2016 Leaf Metal Tennis also showcases notable signers such as Andy Murray, Anna Kournikova, Jimmy Connors, Martina Hingis, Martina Navratilova and Roger Federer. 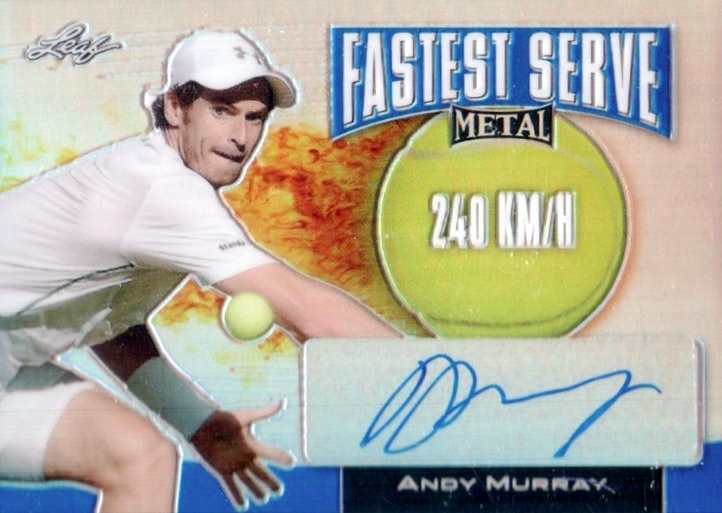 Like most releases from the card maker, Leaf Metal Tennis falls on the more limited side with just 199 cases produced. 2016 Leaf Metal Ivan Lendl "Yellow Plate" 1 1 Autograph!! PARALLEL CARDS: Blue #/50 or less, Purple #/25 or less, Pink #/10 or less, Black #/7 or less, Green #/5 or less, Red #/3 or less, Gold 1/1, Super 1/1, Printing Plates 1/1. *Serena Williams PARALLEL CARDS: Blue #/7, Purple #/6, Pink #/5, Black #/4, Green #/3, Red #/2, Gold 1/1, Super 1/1, Printing Plates 1/1. PARALLEL CARDS: Blue #/25, Purple #/15, Pink #/10, Black #/7, Green #/5, Red #/3, Gold 1/1, Super 1/1, Printing Plates 1/1. PARALLEL CARDS: Blue #/25 or less, Purple #/15 or less, Pink #/10 or less, Black #/7 or less, Green #/5 or less, Red #/3 or less, Gold 1/1, Super 1/1, Printing Plates 1/1.